Three months and some change after celebrating the Gregorian New Year with it’s fireworks and resolutions, Thailand shuts down for three solid days of Songkran, the country’s traditional New Year celebrated with massive water- and powder-fights. It’s sort of like having a second breakfast. Second helpings of new year celebrations (or third, if you count the Chinese New Year in February) are equally welcome in my life. A little change of pace from the craziness of the schedule for some even crazier fun and a little time to reflect on the “new year” ahead. And maybe I can start over on those New Year’s resolutions that didn’t make it to February, let alone April. 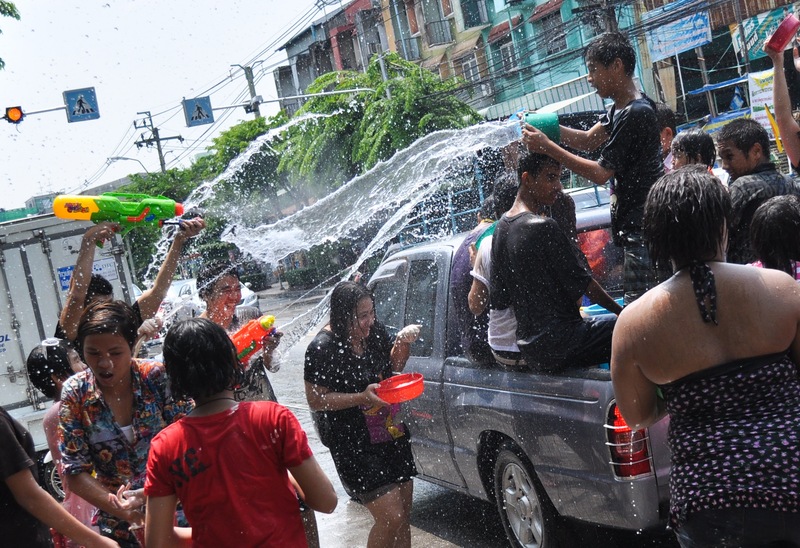 As for Songkran-specific celebrations… it’ll take some time to recover from the unexpected full-day workout I underwent by violently throwing water at cars, trucks and motorcycle gangs driving by on crowded Bangkok streets. Not sure it was enough to work off the sin of mango sticky rice consumed in large portions, but it sure left me with a sore arm. And that was just day one. 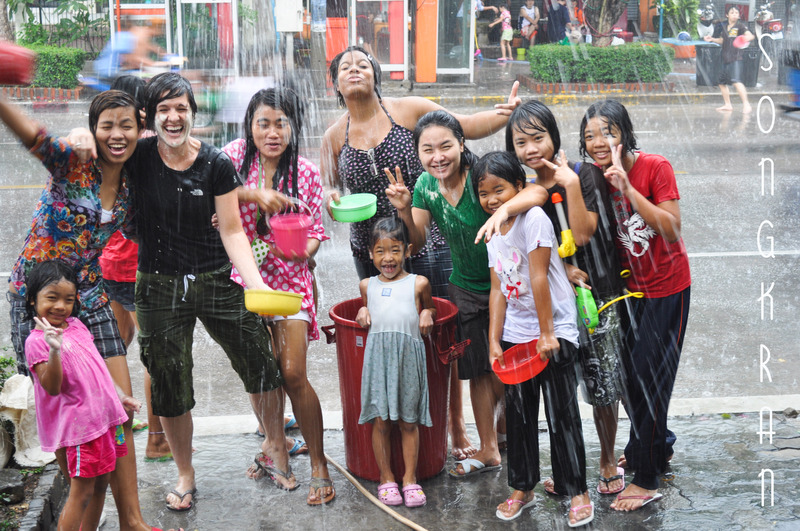 Thai people like to call Songkran the world’s largest and longest waterfight. Granted we’re now only two days into the three day event, but I would have to agree with that claim to fame. Thanks for the post, Cori! Looks like you guys celebrate New Years the same way we celebrate Carnaval in Bolivia! Glad you got a chance to let loose with some water fights. Praying God will bless all your efforts this week.